​Living in Florida, it is important to have a reliable air conditioning system to keep you cool throughout the heat of the summer. Having a qualified air conditioning contractor to keep your AC system in good working order is a must. The residential air conditioning experts at Spring Hill Air Conditioning are highly skilled and experienced. Our air conditioning experts will make sure that you can count on your AC when you need it most. Whether you need to schedule routine maintenance, have an emergency repair or need a new system installed, we've got you covered. We offer all of the services listed below. 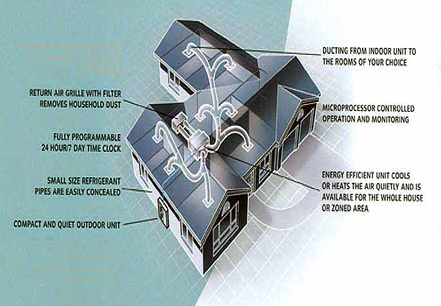 Even the most efficient residential air conditioning systems experience occasional operational problems. 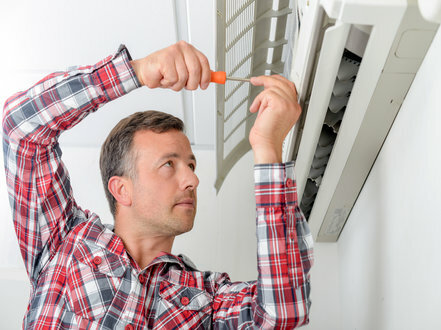 When your air conditioner exhibits signs of trouble, it's important that you contact the experts at Spring Hill Air Conditioning as soon as possible. The longer you let the problem go, more than likely, the bigger it will get. A simple repair could turn into a major repair. We will get your air conditioner back on track with as little disruption to your comfort as possible. Below is a list of troubleshooting tests that you can perform before you call us. If you’re thermostat is programmable, replace the batteries. Slide the fan control switch from the “auto” setting to “on” setting. The blower should run, if it does, there is power. If it doesn’t, the control switch may be burned out or the power may be disconnected. If the system has a furnace for heat, ensure that the emergency control switch is on. Check your circuit breaker panel, look for blown fuses or tripped breakers. If the fuse is blown, or the breaker is tripped fix this problem once. If it trips, or blows, again, do not try it again. Call us immediately, it could mean you have a much bigger problem. Continuing to flip the breaker or replace the fuse, can lead to even bigger problems. Please call Spring Hill Air Conditioning asap. If the fuse isn’t blown or the breaker hasn’t been tripped, please move on to Step 7. Slide the thermostat control switch over to "cool" and slide the fan control switch over to "auto" move the temperature setting to the lowest setting. If both units are running and it is still not cooling, call Spring Hill Air Conditioning at 352-600-4443. ​If you perform all of the troubleshooting suggestions but still continue to have problems with your air conditioning please do not try to fix it yourself. More than likely, if you do, you will make it worse. It may even end up costing you more than to having us fix it for you. Maintaining your residential air conditioner is the most efficient way to ensure that your system runs at its peak performance. Performing regular maintenance also helps to avoid unexpected system problems even during the dog days of summer. Having Spring Hill Air Conditioning perform a maintenance check on your residential system in the Spring and Fall is a great way to keep your system tuned up and functional for the coming season. We will inspect, clean and make you aware of any minor repairs that will increase your systems efficiency and extend the life of your air conditioning system. 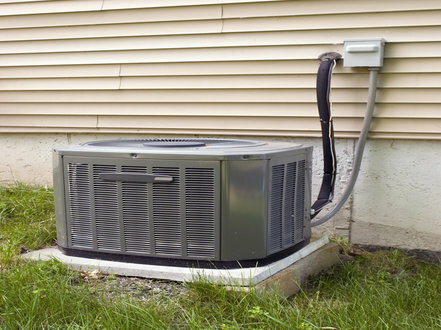 A reliable air conditioner is an important part of any Florida home. Making it through the long, hot summer means a quality air conditioner is a necessary investment. When trying to decide if you need a new air conditioner or an air conditioning replacement, there are many important variables to consider. First, you must be sure that your new system is appropriately sized for your home. Too small and it will struggle to reach the desired temperature, which will reduce it’s efficiency. If it is to big, it will bring temperatures down too quickly, which will have a negative impact on the comfort level in your home. In addition, it puts your system at a greater risk for damage. 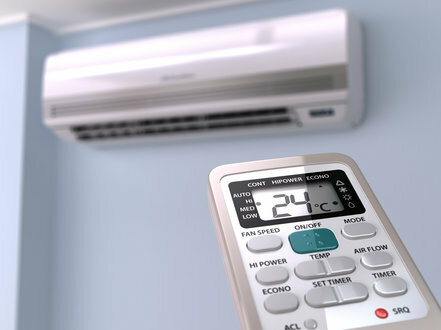 Residential air conditioners will not operate as efficiently and effectively as they could if they are not installed by a reliable, professional air conditioning expert. When you are ready to schedule your AC installation or replacement service, call us at 352-600-4443. We’ll make sure that your new air conditioner is installed properly. We are confident we can provide all of your residential air conditioning service needs. Whether you need ac repairs, installation or service, we've got your covered. For more information on our air conditioning services, please contact us at 352-600-4443. We will gladly discuss your current air conditioning needs, and schedule a time for one of our professional technicians to provide you with a free estimate. Or, if you like, you can also fill out the easy, no-obligation form on this page and one of our professional, yet friendly staff members will be in touch immediately with more information on our residential air conditioner services.